This article by WSU’s Chris Keane, Vice President for Research appeared in The Conversation in late July. Emergency: You need more disposable diapers, right away. You hop into your car and trust your ride will be a safe one. Thanks to your phone’s GPS and the microchips that run it, you map out how to get to the store fast. Once there, the barcode on the package lets you accurately check out your purchase and run. Each step in this process owes a debt to the universities, researchers, students and the federal funding support that got these products and technologies rolling in the first place. By some tallies, almost two-thirds of the technologies with the most far-reaching impact over the last 50 years stemmed from federally funded R&D at national laboratories and research universities. The benefits from this investment have trickled down into countless aspects of our everyday lives. Even the internet that allows you to read this article online has its roots in federal dollars: The U.S. Department of Defense supported installation of the first node of a communications network called ARPANET at UCLA back in 1969. As Congress debates the upcoming budget, its members might remember the economic impacts and improved quality of life that past congressional support of basic and applied research has created. Here in the state of Washington, federally funded research at both my employer, Washington State University, and the University of Washington has led to transformational innovations. It’s helped spawn not only new products that save and improve lives, but productivity growth through new businesses and services. Just a few examples include new kinds of composite-based lumber, smart home technology for the aged, kidney dialysis machines, airport explosive detectors and new varieties of wheat, potatoes and other agricultural crops that we enjoy at our tables and in numerous products. All these inventions relied on federal investment combined with university research lab expertise. The important final step was commercialization. Together it all led to positive economic impacts. We see this pattern again and again. For instance, next time you’re on Google, remember it was founded by two Stanford University doctoral students who were funded in part by National Science Foundation Graduate Fellowships. Fast forward 20 years and here in my backyard, the company is busy building a new campus in downtown Seattle that may house 3,000-4,000 workers by 2019. Many of those hired will likely be graduates from both WSU and UW. The fact is that thousands of companies can trace their roots to federally funded university research. And since the majority of federally funded research takes place at America’s research universities – often in concert with federal labs and private research partners – these spinoff companies are often located in their local communities all across the country. Just one of these firms, headquartered in Broomfield, Colorado, employs over 2,800 workers and started with researchers at the University of Colorado who create instruments, data exploitation solutions and technologies for civil, commercial, aerospace and defense applications. Another in Audubon, Pennsylvania develops rapid, noninvasive “liquid biopsy” tests for cancer screening and early detection based on research from the University of Pennsylvania. And another company with 85 employees in Madison develops high-density DNA microarrays for pharmaceutical research based on research from the University of Wisconsin. Focusing federal research funding on research universities who enjoy strong corporate and business partners has strategic value. There is little doubt that the state of Washington’s recent economic successes, for example, comes down to a cycle of innovation and discovery that feeds additional economic growth and private-public-university relationships. Federal R&D funding is a key ingredient. Our two public research universities have strong relationships with federal funding agencies. Together Washington State University and the University of Washington – the largest recipient of federal research funding in the nation among public universities – form the technological and intellectual pillar around which many of our state’s successful businesses are built and sustained. Both universities graduate thousands of undergraduate and graduate students who provide a constant supply of educated, trained workers. In turn, the universities and federal R&D investment benefit from the active engagement and monetary support of business leaders and professionals. Innovative ideas and knowledge percolate back and forth between federally funded research and the private sector. A recent milestone provides an example. Federal research dollars helped solidify a collaboration aimed at solving a big problem: the high carbon emissions from air travel, a contributor to climate change. 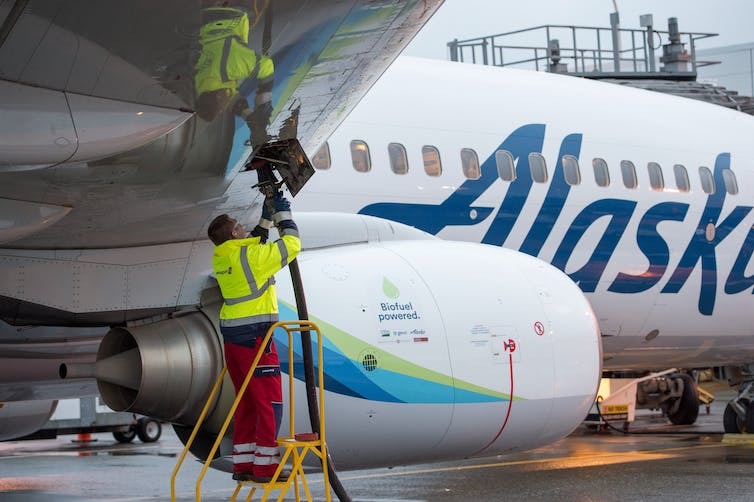 WSU worked together with the UW and a host of other regional public research institutions, the U.S. Department of Agriculture, Alaska Airlines, Weyerhaeuser Corp., Gevo, Inc. and a large alliance of private industry to develop a renewable, affordable source of jet fuel. Each collaborator brought unique expertise to the innovation table. USDA provided the funding and the policy commitment to the development of biofuels that spurred matching investment from private partners. Alaska Airlines brought the need to reduce its carbon emissions and its leadership in applying clean technologies to improve its environmental performance. 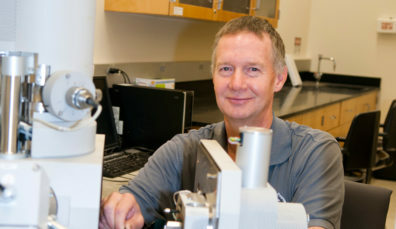 WSU contributed decades of pertinent experience in both basic science and applied research. 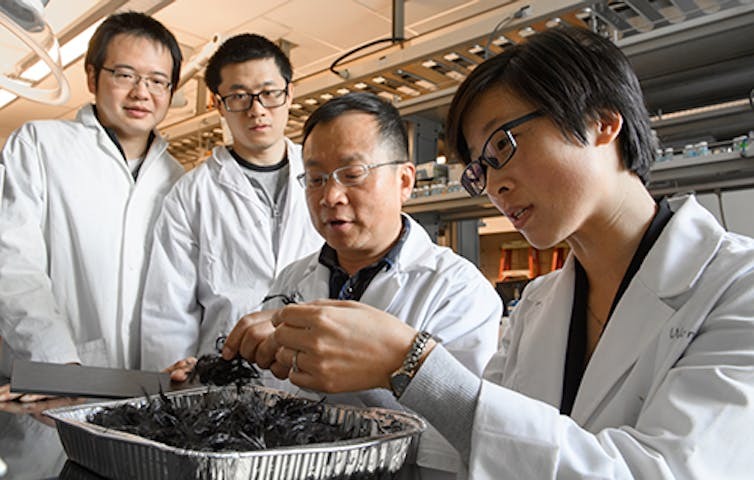 UW researchers demonstrated the fuel’s potential reduction in life cycle greenhouse gas emissions. And, Gevo, Inc. brought its private-sector skills and patented technology in developing bio-based alternatives to petroleum-based products. The sum of these parts created a strong, successful partnership that took a big step toward sustainable aviation. Individual researchers with their deep expertise remain the bedrock of the research enterprise. But teams of scientists – drawn from research universities, government and the private sector – all working on multidisciplinary problems are having an increasing impact. Communities that take advantage of the area’s unique assets and advantages in creating a desirable quality of life. We see these conditions coming together around the country: in Silicon Valley, the Raleigh-Durham Research Triangle Park, Boston’s metro area and other innovation hubs in cities like Boulder, Colorado; Madison, Wisconsin; Austin, Texas; and Gainesville, Florida. The fourth year of the CleanTech Showcase was one for the books. 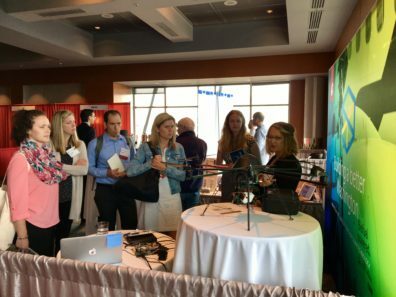 Washington State University has been a proud sponsor of the Showcase since day one, and kudos go to the Clean Tech Alliance for this year’s record attendance, number of presenting companies and exhibitors, and high-quality keynote speakers. As the CleanTech Alliance and the event have grown, so has WSU’s cleantech portfolio and accomplishments, which were reflected in this year’s presence. The University’s basic and applied research, Extension services, and technology development make it a valuable partner when working with established businesses, startups, and public agencies to advance a greener future. Many clean technologies are dependent on rare earth elements and other materials that are expensive and difficult to acquire sustainably. Greek yogurt is the fastest growing dairy product line in America. The benefits of yogurt consumption are well-documented, but Greek yogurt production results in a large amount of acidic whey; a byproduct that the yogurt industry has no economic use for. This academic year held several cleantech milestones for WSU – from winning the CleanTech Achievement award in November to breaking ground on the PACCAR Environmental Technology building in May. 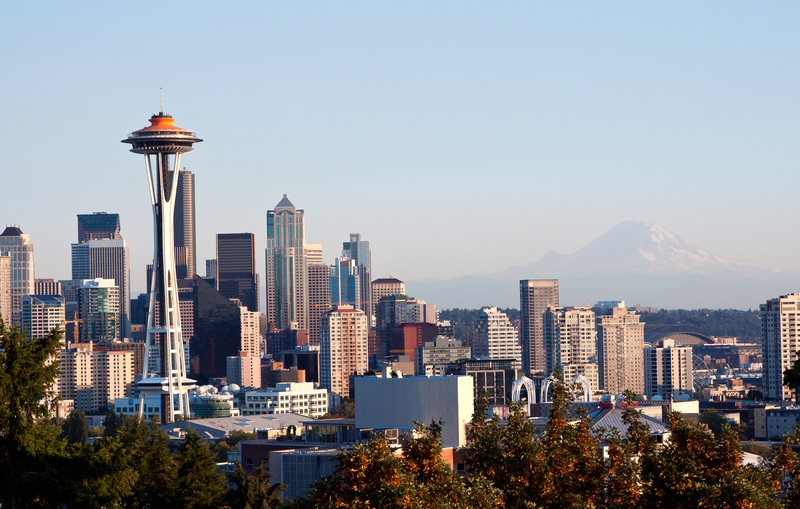 This month, Washington’s cleantech industry can get a glimpse into the innovation driving those milestones by attending the third annual CleanTech Showcase. 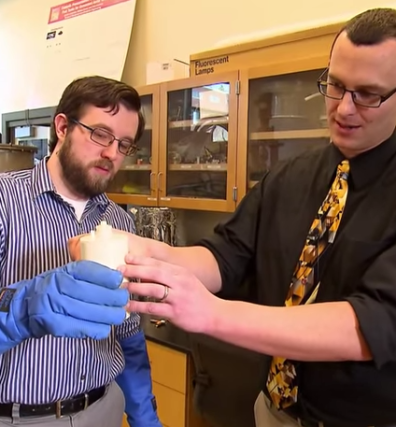 Several faculty will present their research and commercialization activities in alternative fuel, sustainable design, and advanced materials – three of WSU’s major cleantech strengths. Problem: Our dependence on oil and the pollution created by burning fossil fuels has prompted a tremendous amount of research and development of alternative fuel options. Liquified hydrogen – which can be used in fuel cells to power electric car and aircraft – is one of the cleanest alternative fuel options that can also be produced in the U.S. from a variety of sources. Current methods to liquefy hydrogen are difficult and costly, however, keeping this promising alternative fuel source from widespread adoption. This month we are highlighting the WSU researchers who helped launch and now lead the Washington Stormwater Center, a regional collaboration that provides the knowledge, resources and training needed to decrease the impacts of stormwater on the environment. 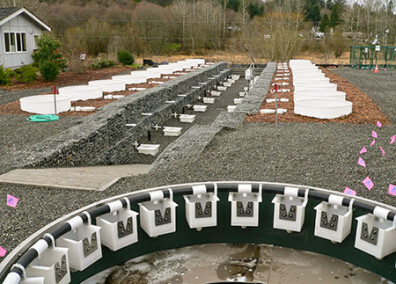 The Washington State Legislature created the center in 2010 in response to the need to share new research, best practices and technological advances in stormwater management. 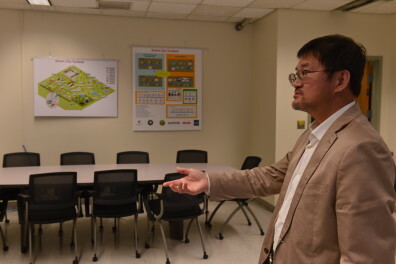 The center is jointly managed by WSU and University of Washington, and provides exactly the kind of partnership, problem solving and applied research that is the basis of a land-grant like WSU. A recent Seattle Business Magazine article called to attention Washington’s strong composite materials supply chain. The lightweight, stronger-than-steel parts allow airlines and car owners to save on fuel and reduce emissions. 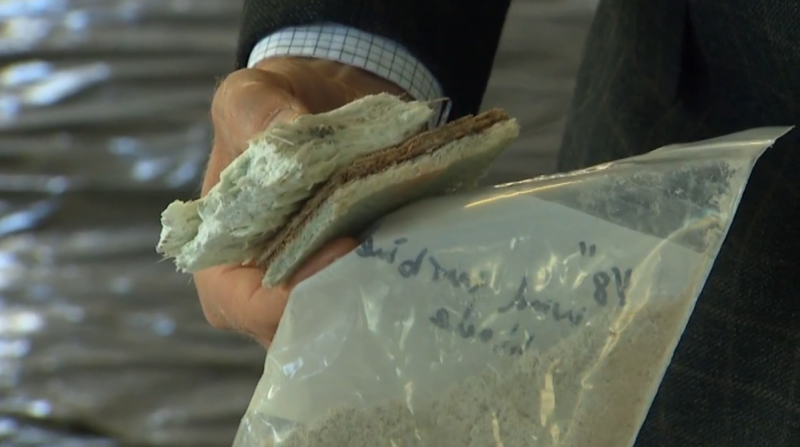 While several large and small companies in Washington design and manufacture these carbon fiber parts, one component of the supply chain is missing: what happens to these composite parts when they are no longer useable? EME 6 demonstration on Wednesday, April 29, 2015.